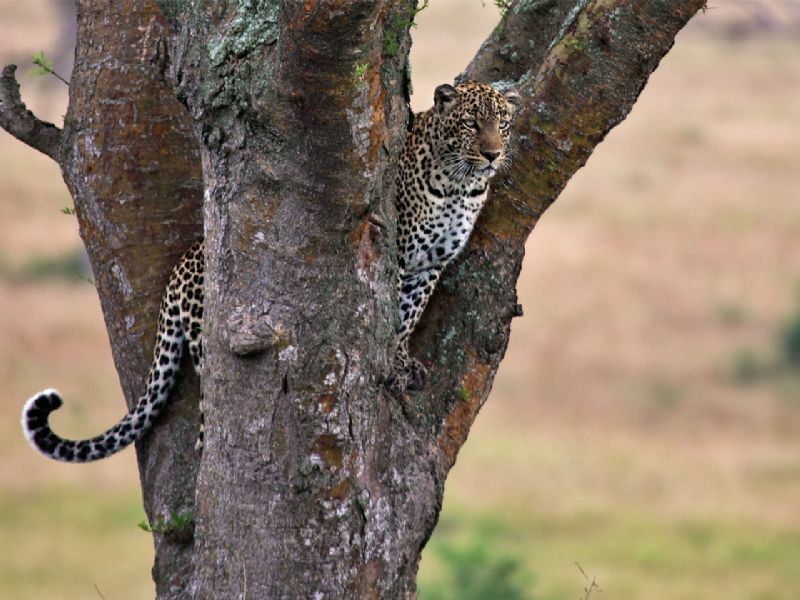 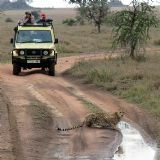 East Africa is the best place in the world to watch wildlife. 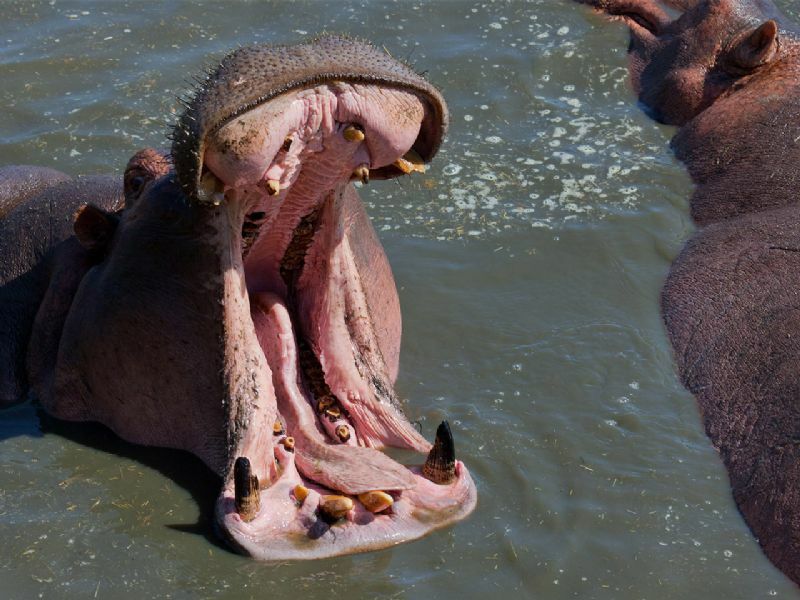 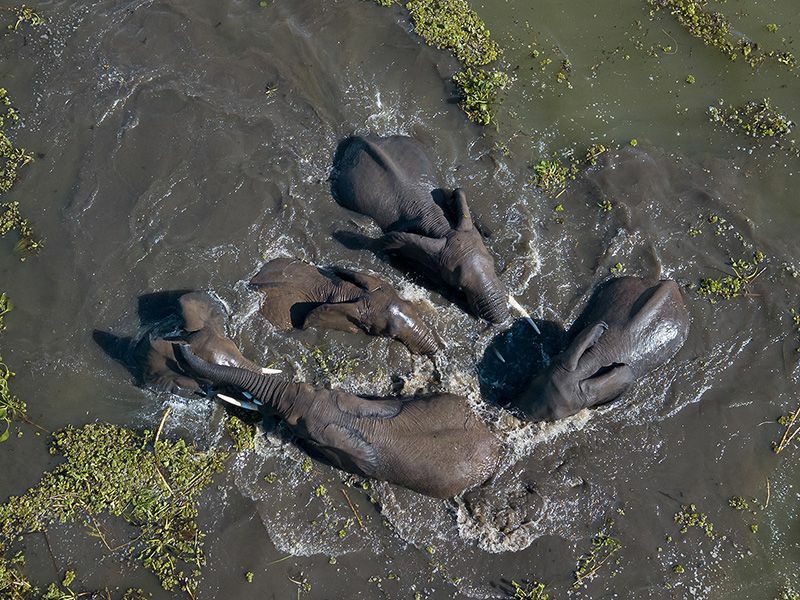 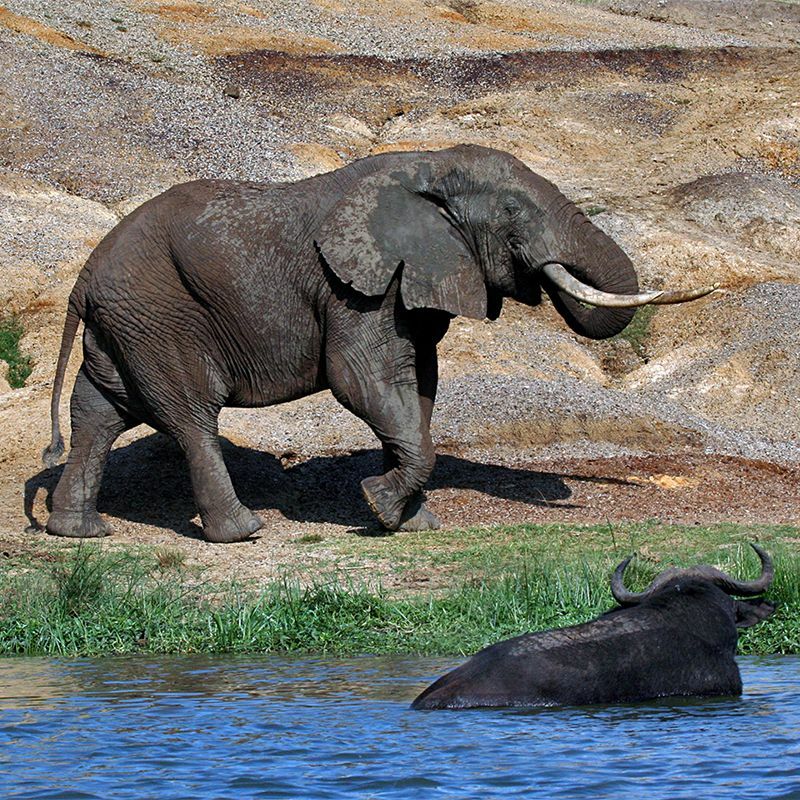 Large animals are more abundant, diverse and visible than anywhere else in the world! 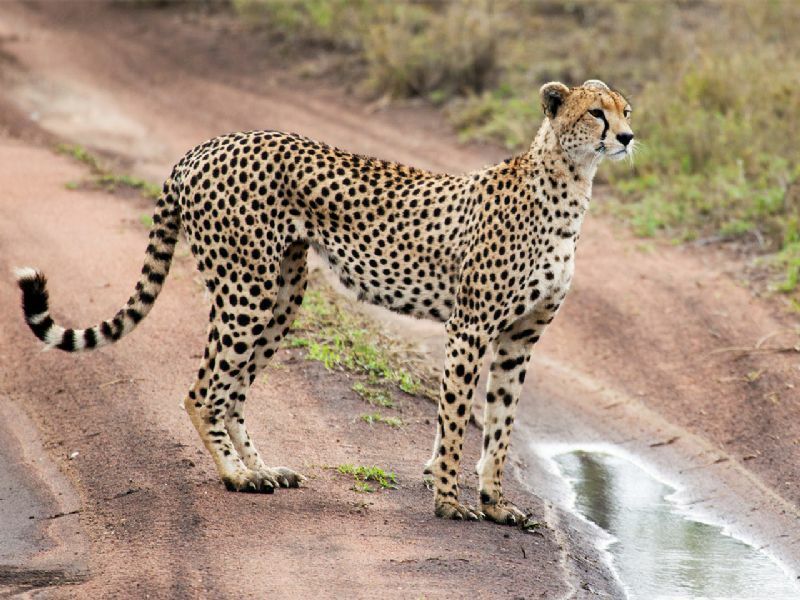 There are more then 100 mammal species in East Africa, including Elephants, Rhinos, Buffaloes, Lions, Leopards, Cheetahs, Giraffes, Zebras, Antelopes, Crocodiles, Mountain Gorillas, Chimpanzees and 15 monkey species. 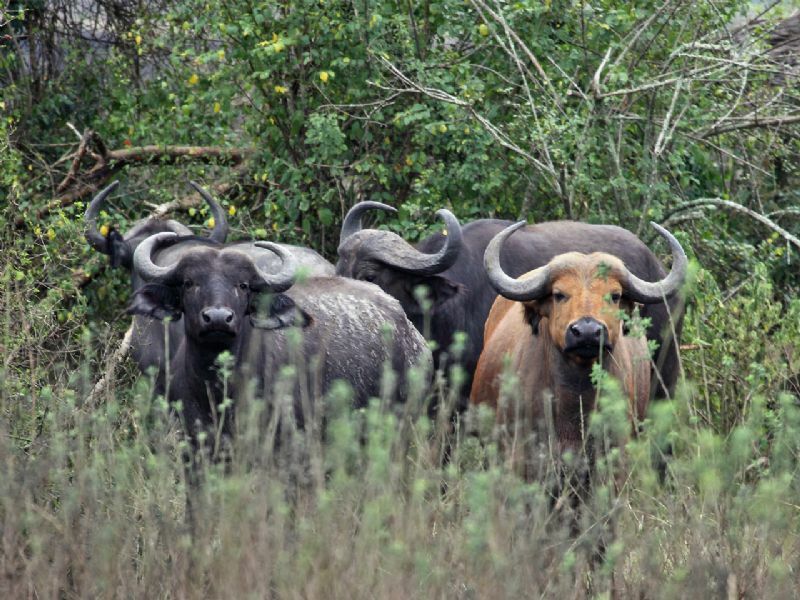 The most wanted savannah animals to see are called the Big 5: Elephant, Rhino, Buffalo, Lion and Leopard. 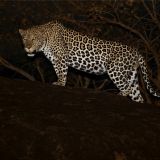 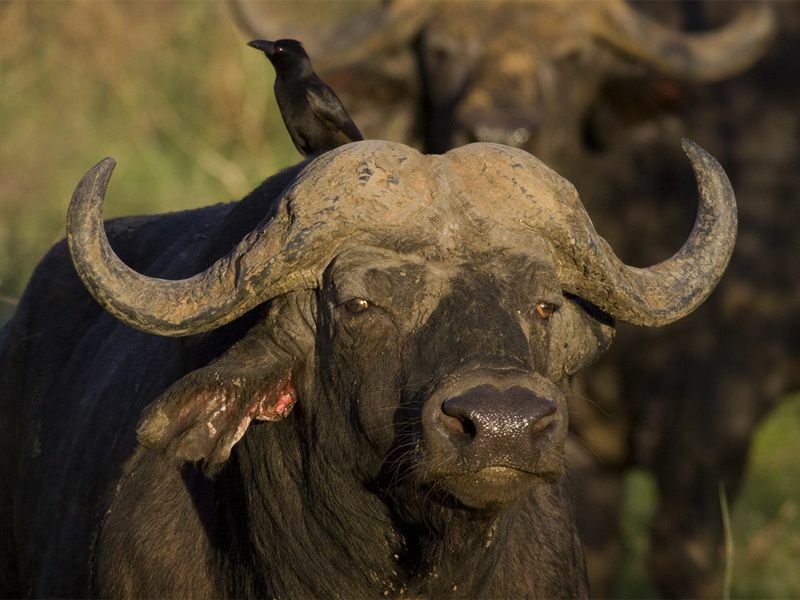 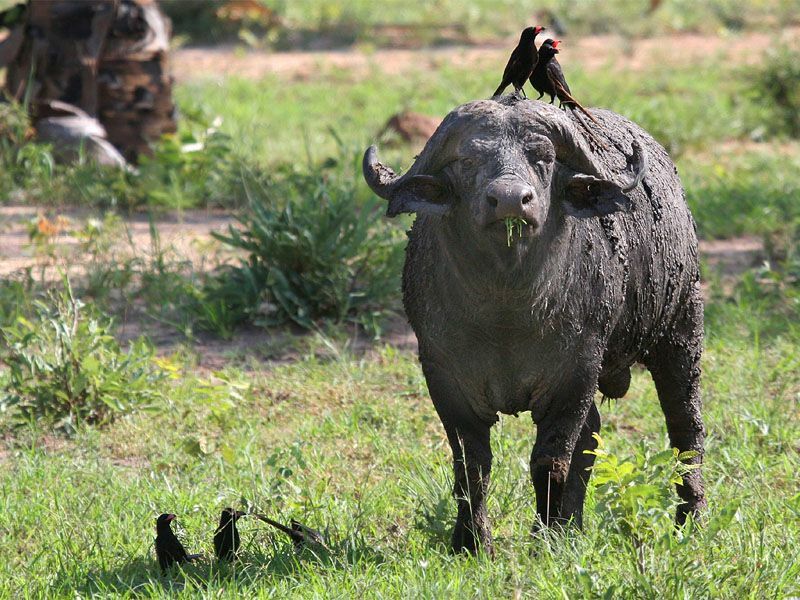 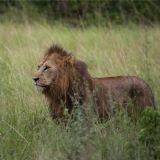 The name ‘Big Five’ comes from the big game hunters, these animals where the most difficult animals to hunt on foot. 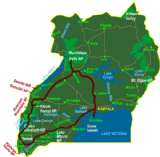 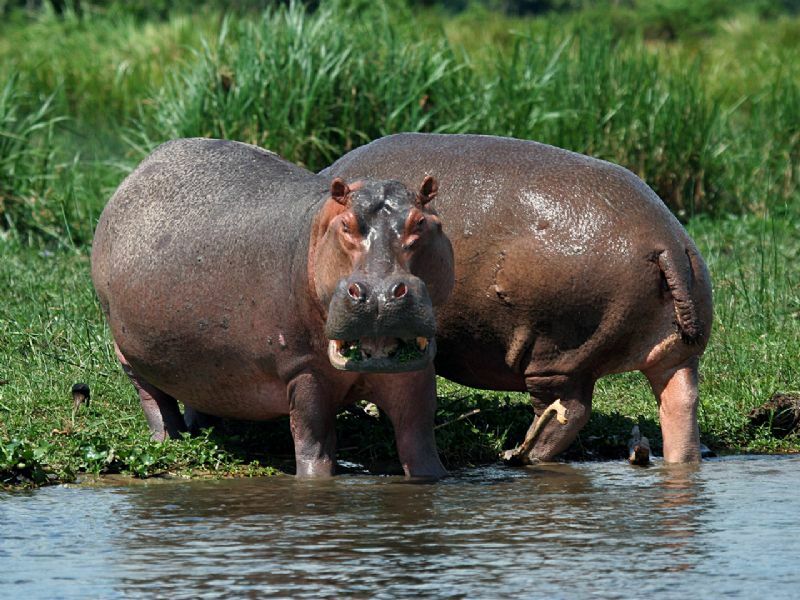 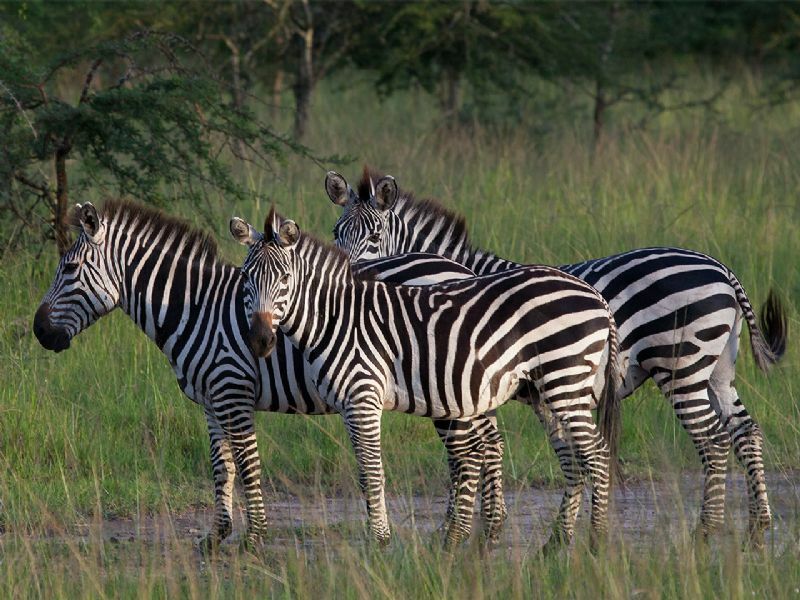 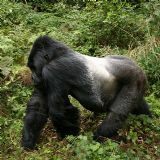 All the animals mentioned can be seen in Uganda, Rwanda and Tanzania (when you combine the destinations). 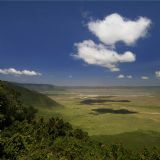 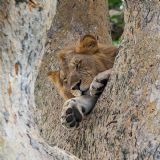 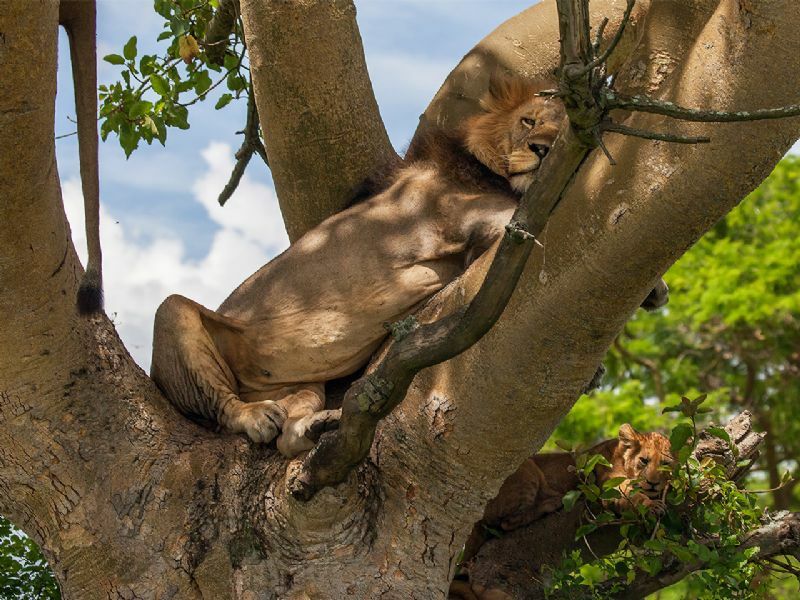 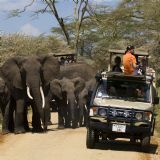 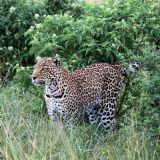 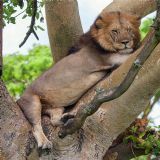 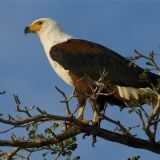 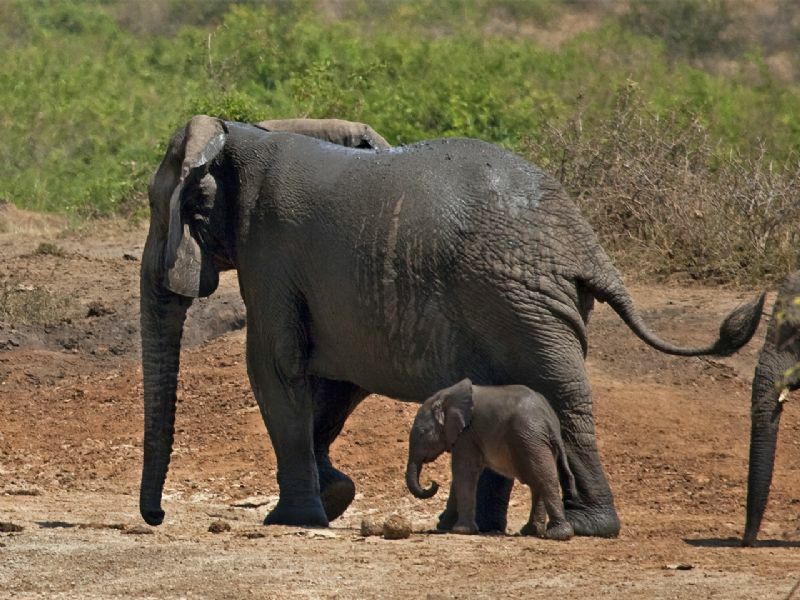 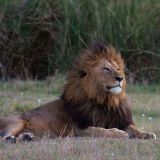 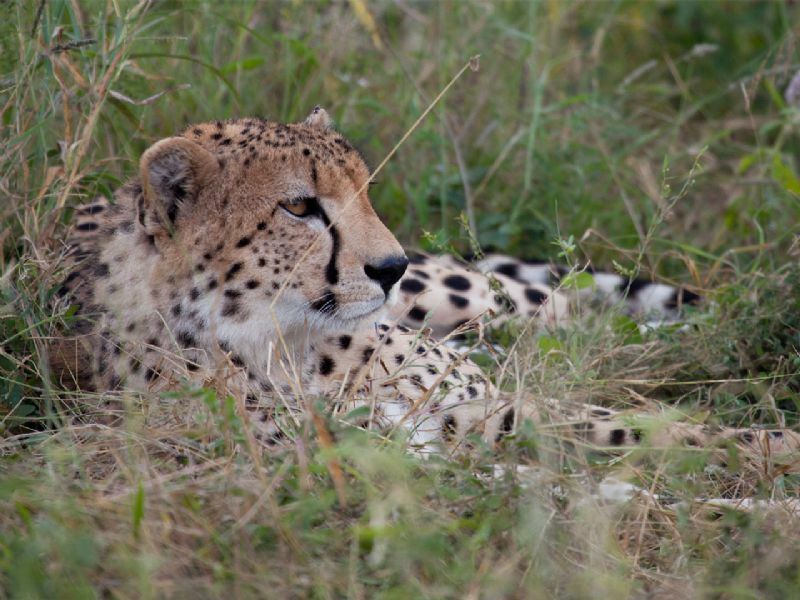 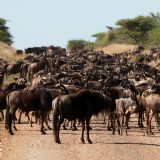 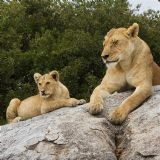 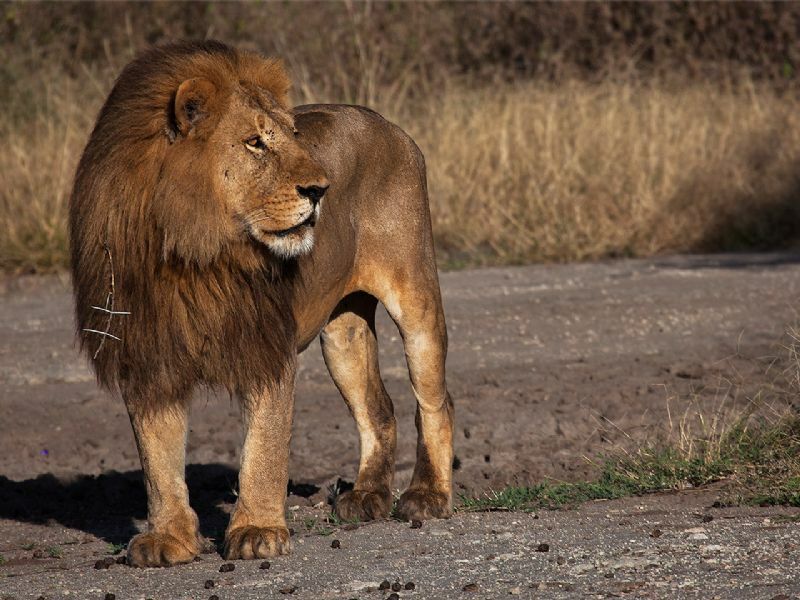 Tanzania is the best destination for the large animals of the savannahs (and to see the Big 5). 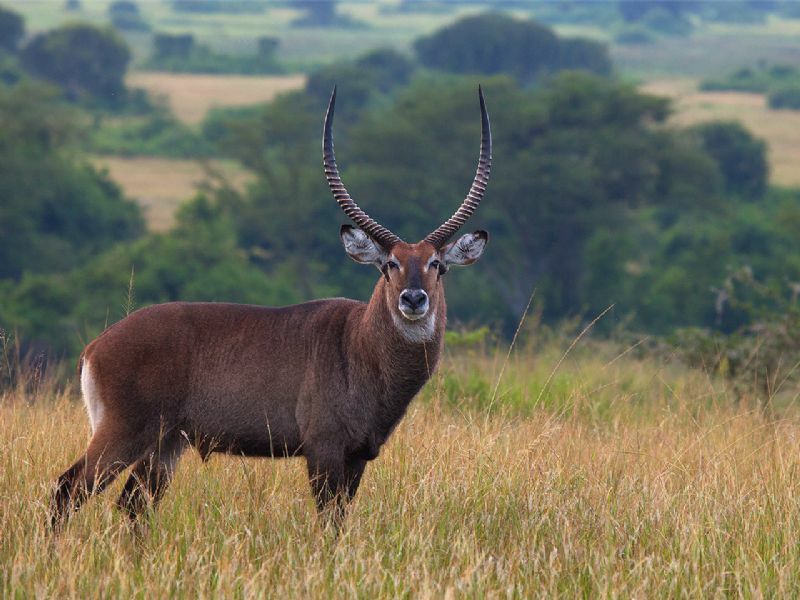 There are more then 100 mammal species in Tanzania: Elephants, Rhinos, Buffaloes, Lions, Leopards, Cheetahs, Giraffes, Hyenas, Monkeys, Zebras, Warthogs, Bushpigs, Hippos and more then 40 antelope species, such as Kudus, Topis, Waterbucks, Hartebeests, Bushbucks, Elands, Impalas, Roan Antelopes, and Gazelles. 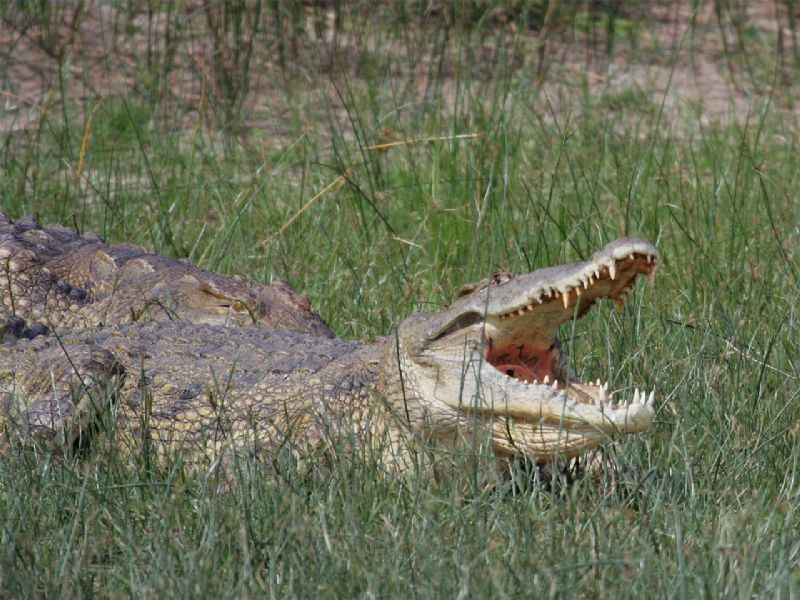 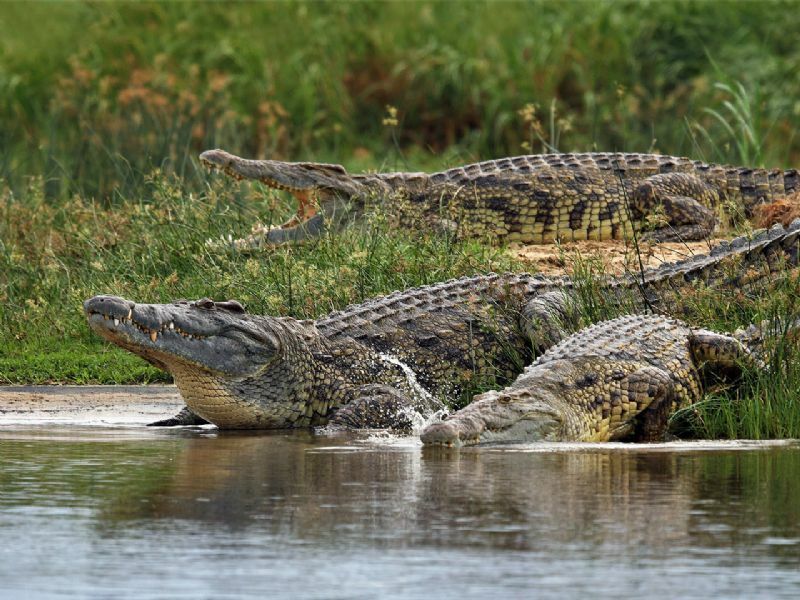 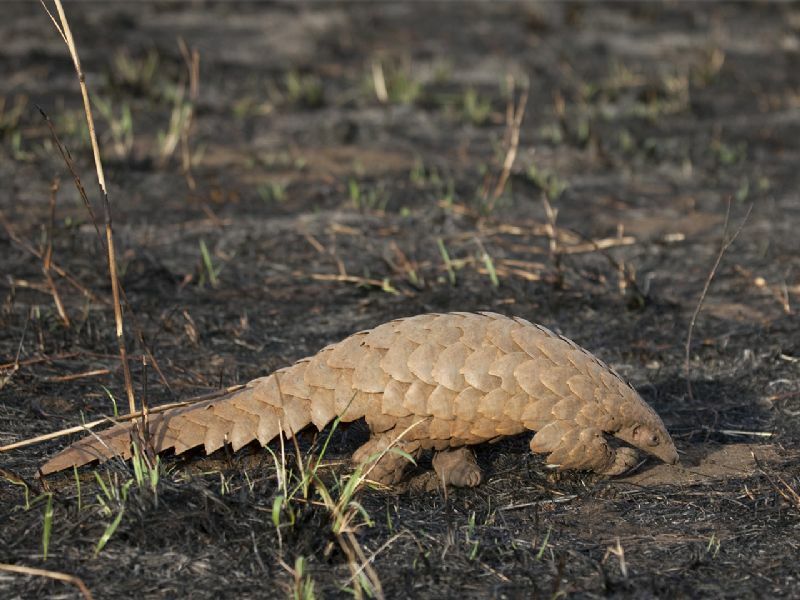 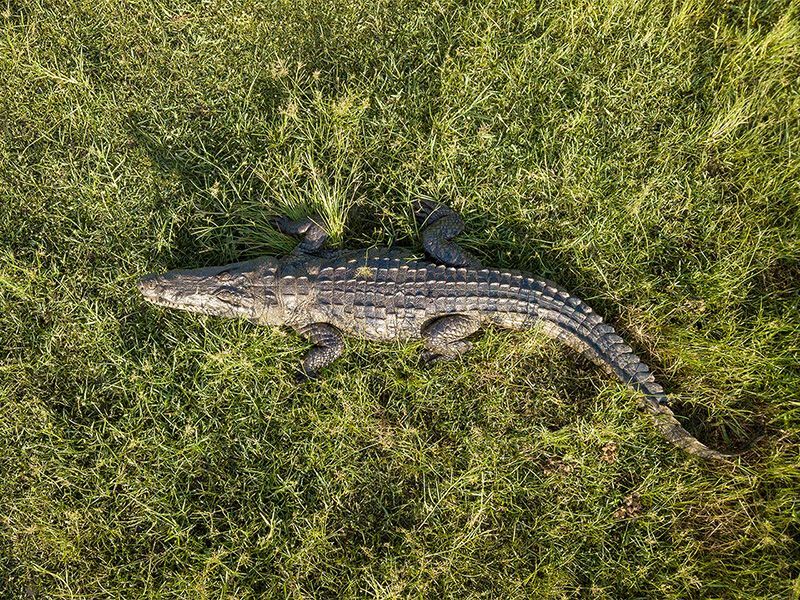 Other species include Nile Crocodiles, Nile Monitors, other lizards and snakes. 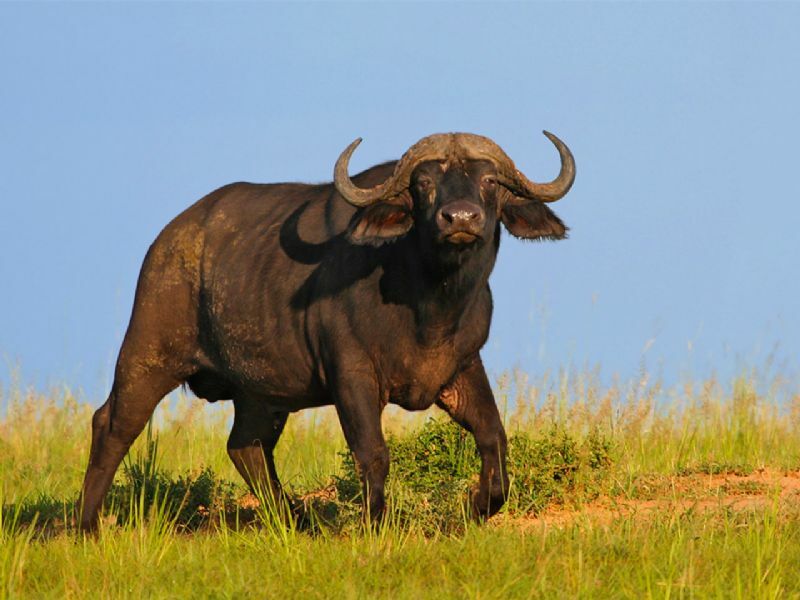 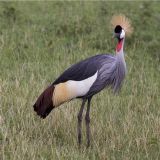 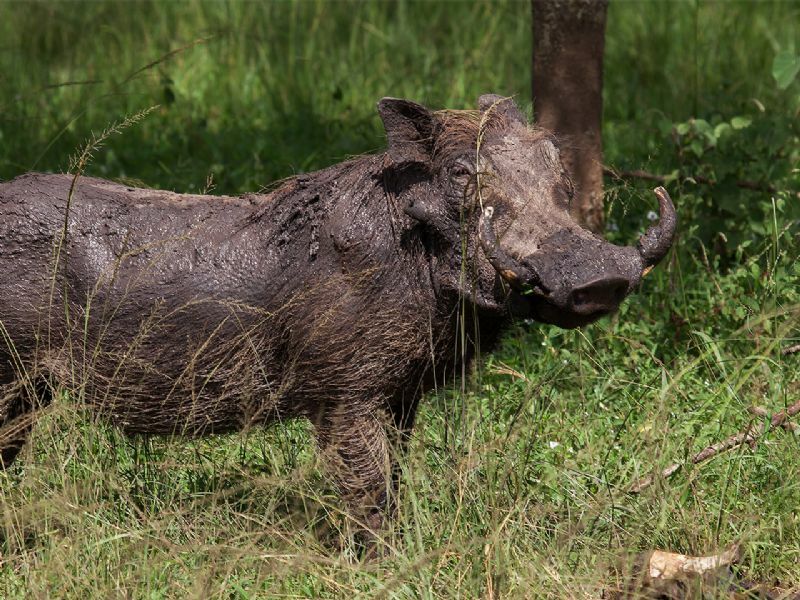 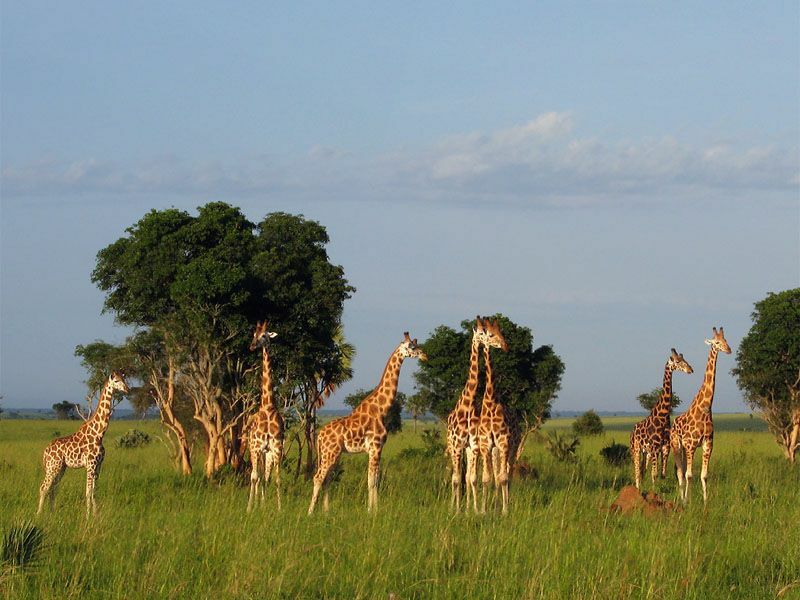 Uganda has a unique combination of the savanna animals of East Africa (Tanzania) and the forest animals of West Africa. 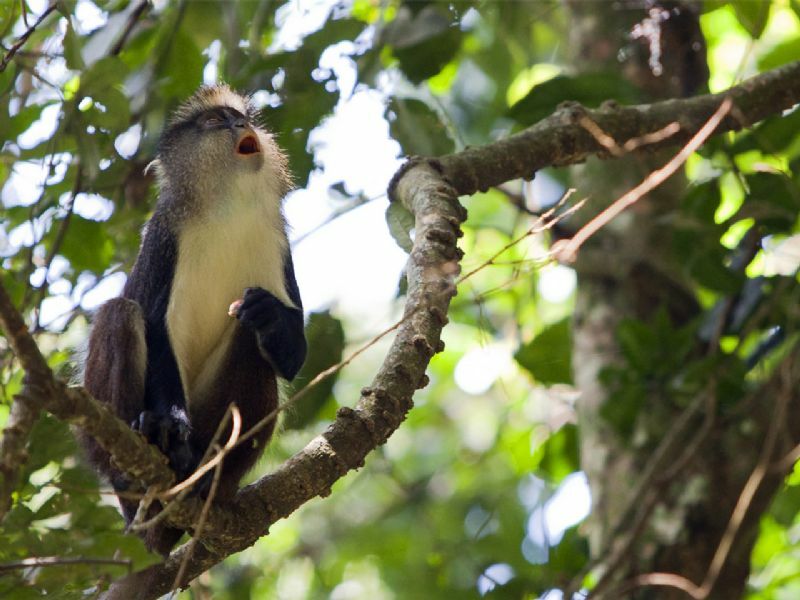 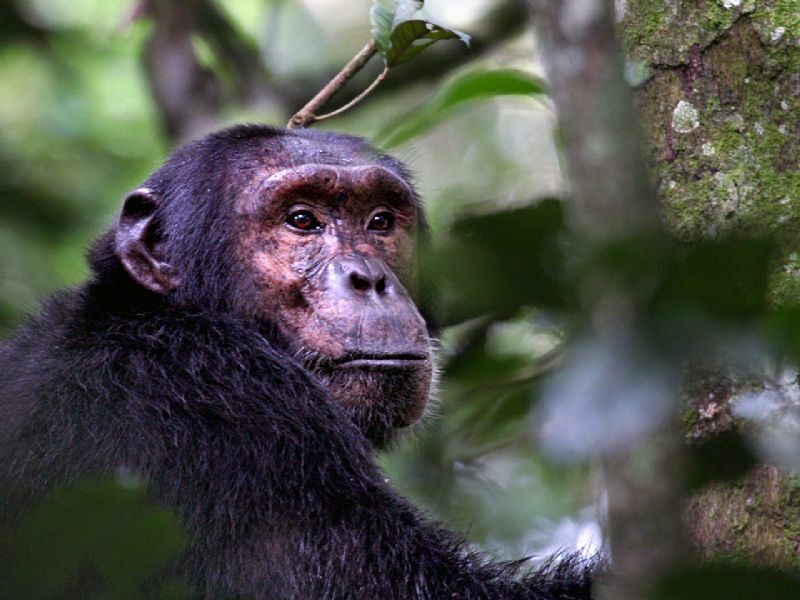 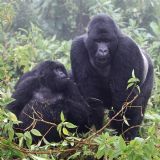 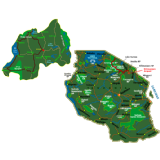 Species such as Mountain Gorillas, Chimpanzees, Black-and-White Colobus, Red Colobus, L'Hoest's Monkeys, Brazza's Monkeys, Patas Monkeys, Red-Tailed Monkeys, Blue Monkeys, Forest Elephants and Forest Buffaloes. 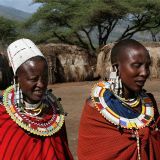 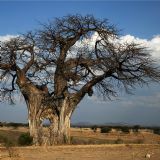 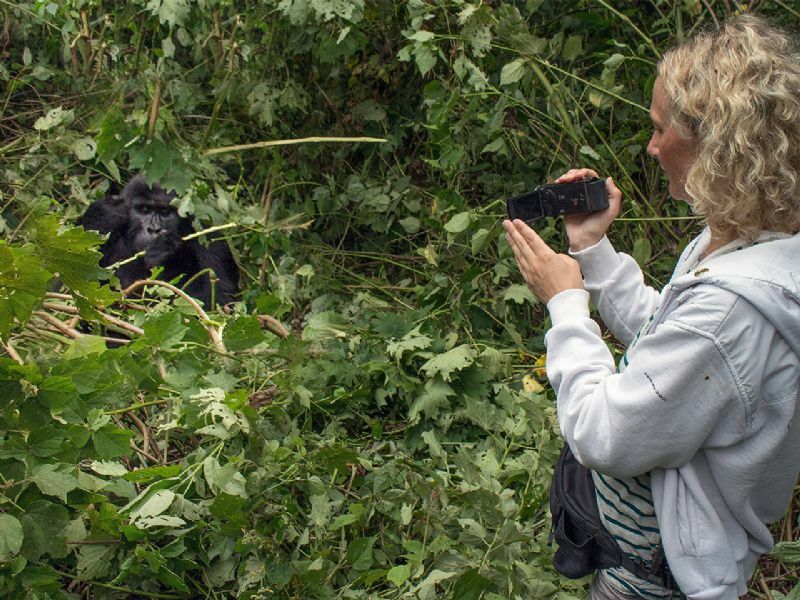 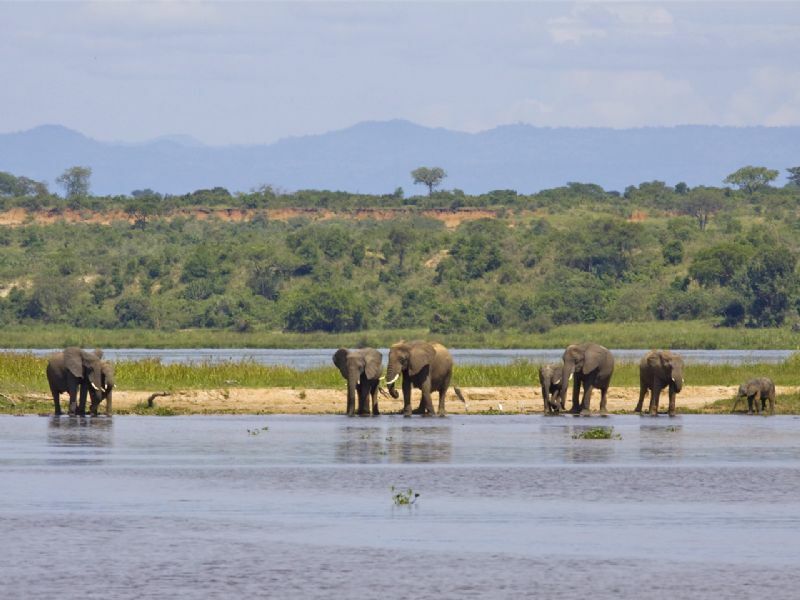 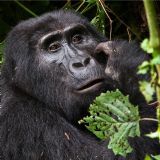 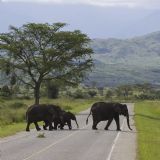 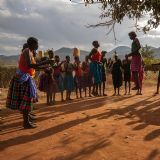 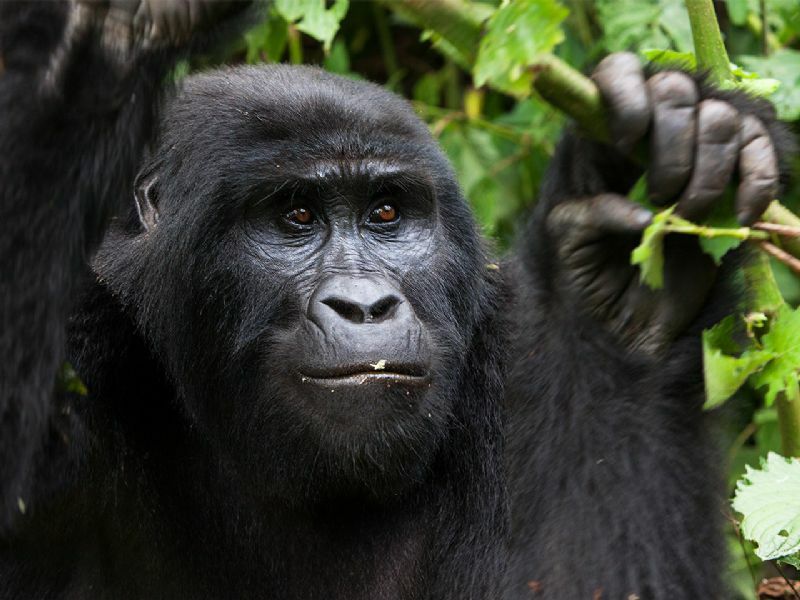 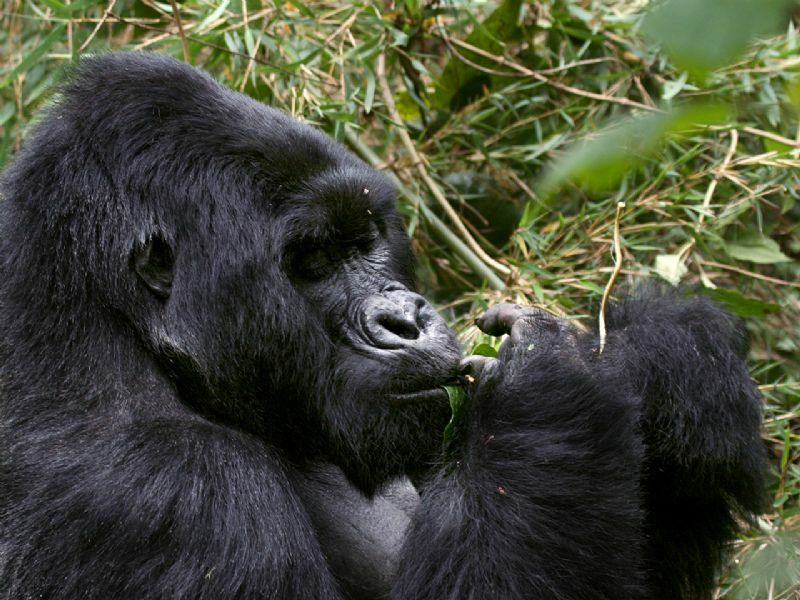 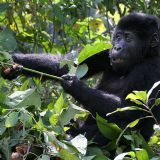 According to the Lonely Planet Uganda offers the best of everything from East and West Africa. 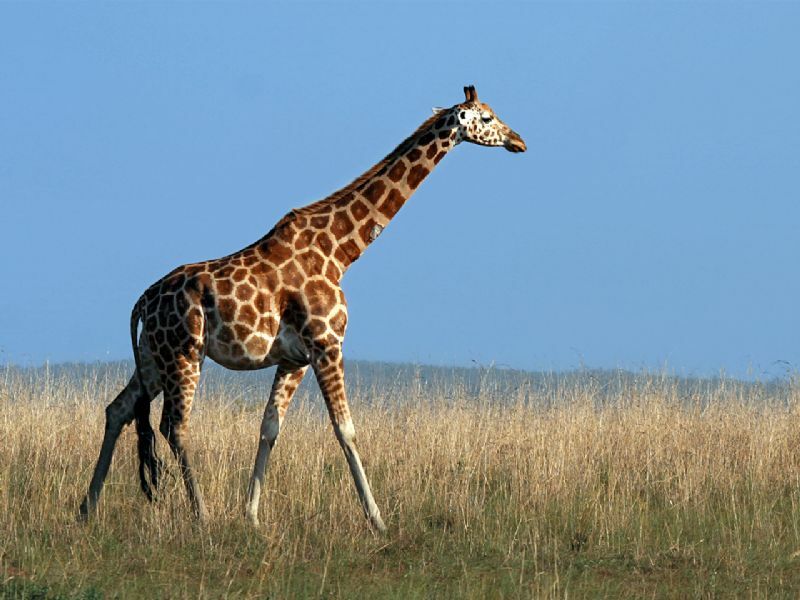 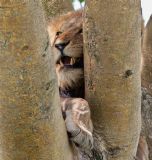 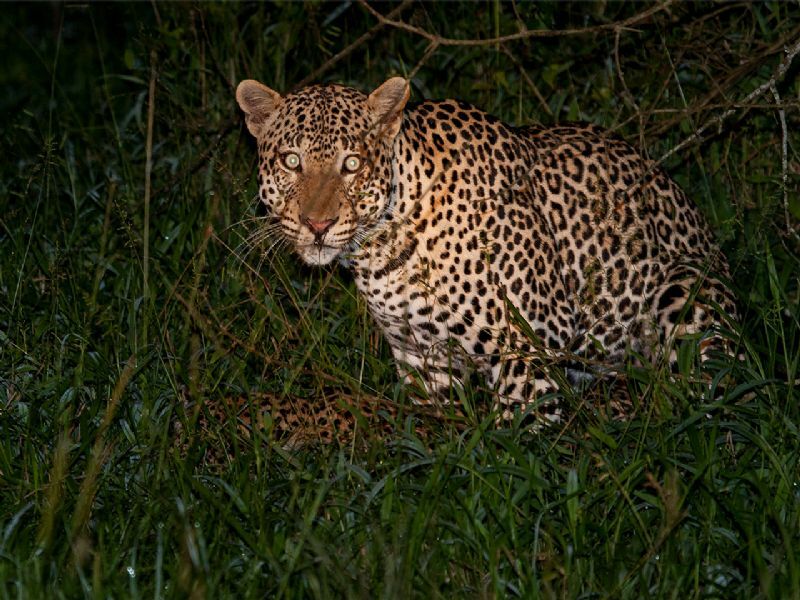 Rwanda also has a unique combination of the savanna animals of East Africa (Tanzania) and the forest animals of West Africa. 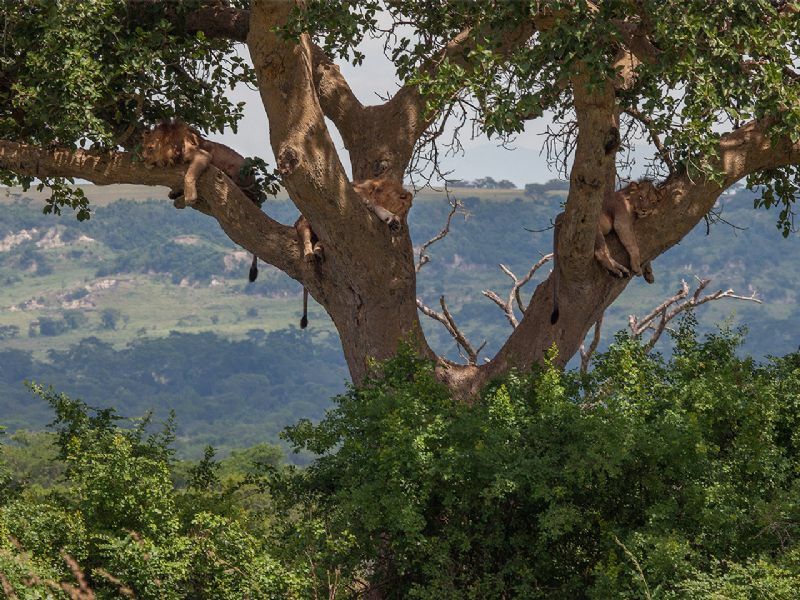 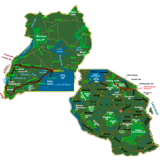 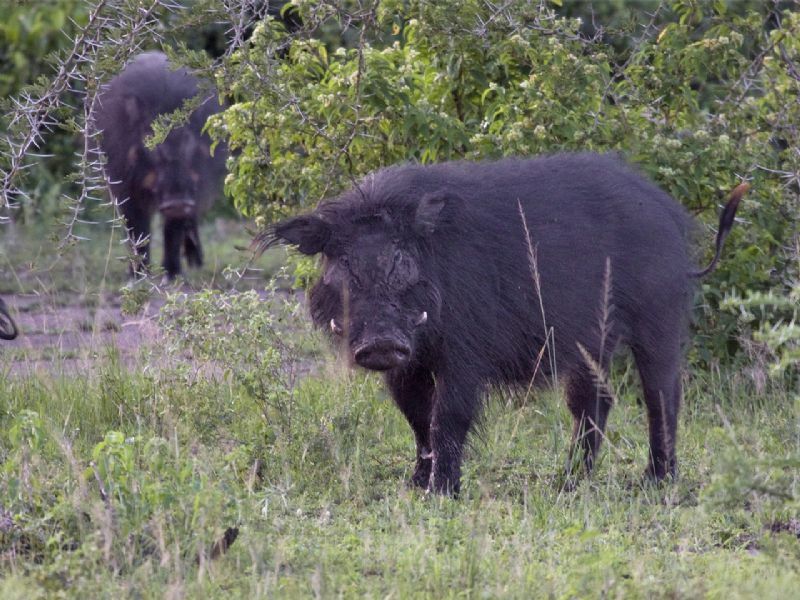 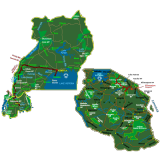 Although there is only one savannah park, Akagera National APrk. 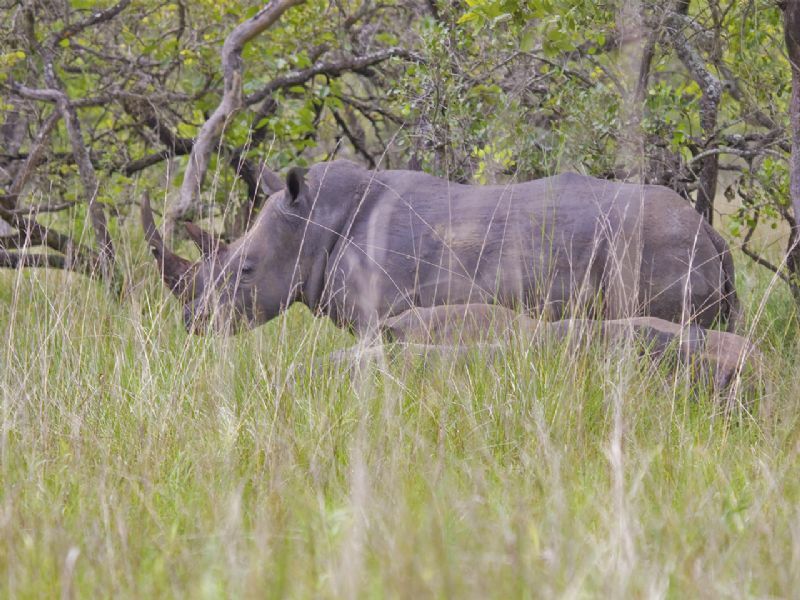 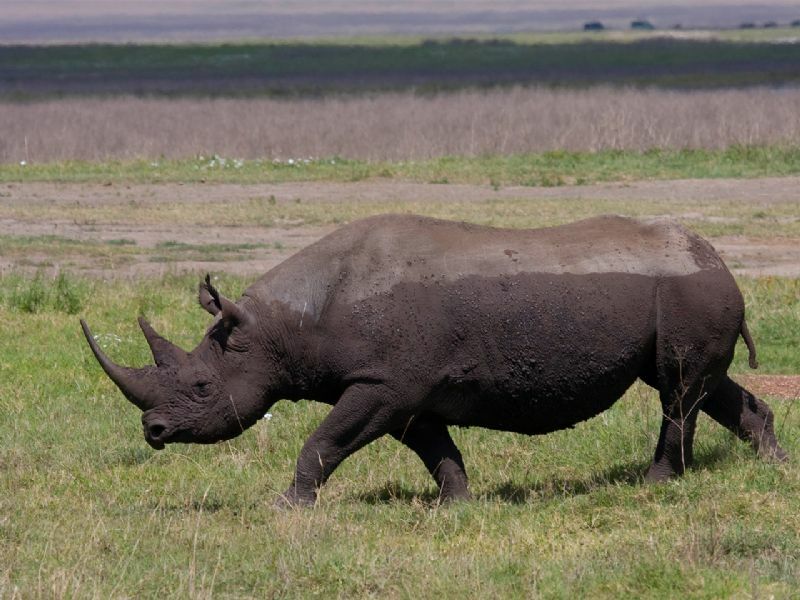 This park is home to the Big 4 (because there are no rhinos). 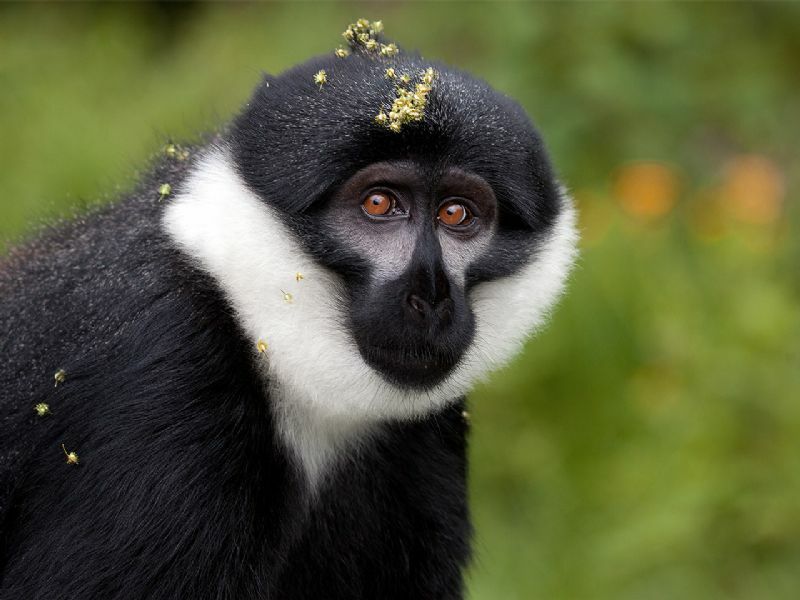 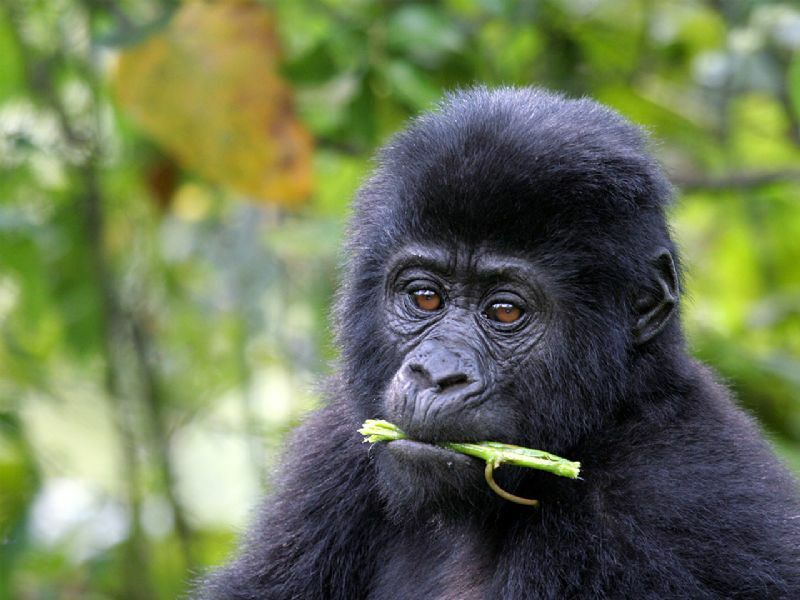 Other species of Rwanda include Mountain Gorilla, Chimpanzee, Angolan Black and White Colobus, Mona Monkey, Owl Faced Monkey, Golden Monkey, L'Hoest Monkey, Brazza Monkey, Patas Monkey, Red-Tailed Monkey and Blue Monkey.